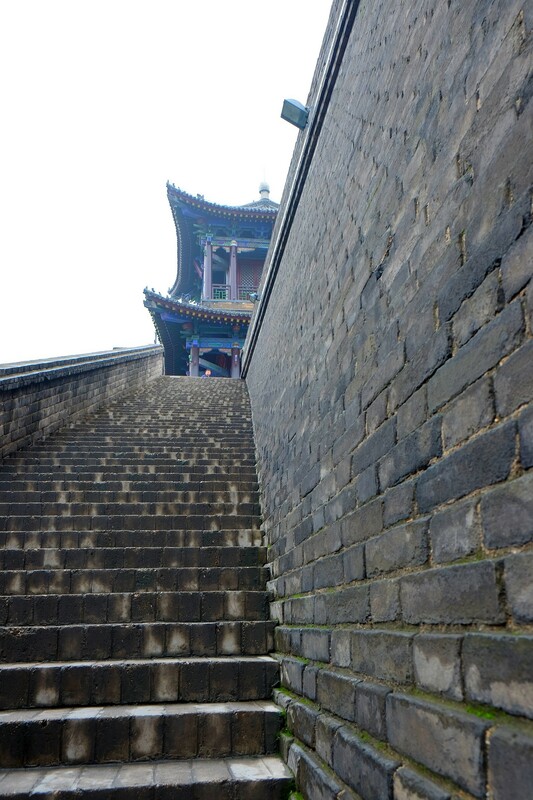 WPC: Ascend – How Many Steps it Takes to Go up the Pavilion? How Easy or Difficult it is to Climb the Steep Staircase of the Steepest Mountain in HuaShan, China? I needed several days of rest for my legs to recover after hiking the steepest mountain HuaShan in China. The main problem was having to ascend or descend continuously for many hours the steep and narrow tread width steps in the mountain. This girl in the photo was trying to show us how easy it is climb the steep steps. Please note the chains on either side of the steps. I must admit climbing the steps is much easier for this little girl in view of her smaller weight, vitality, cheerfulness and the small feet she has for negotiating the steps. Carry on, little girl, you have shown us a good example of climbing up . . . . . . . . . . . . . . This week’s DP challenge is Path. As a traveler, I have taken many paths, some less traveled, some into unknown territory and some back into history. These steps took me back in history. 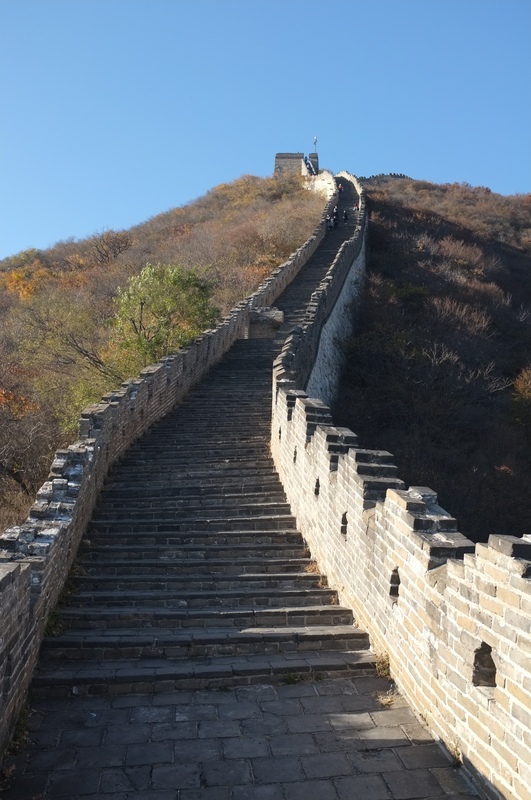 The hike on the endless steps in the Great Wall has taken my breath away – in both senses of the word! 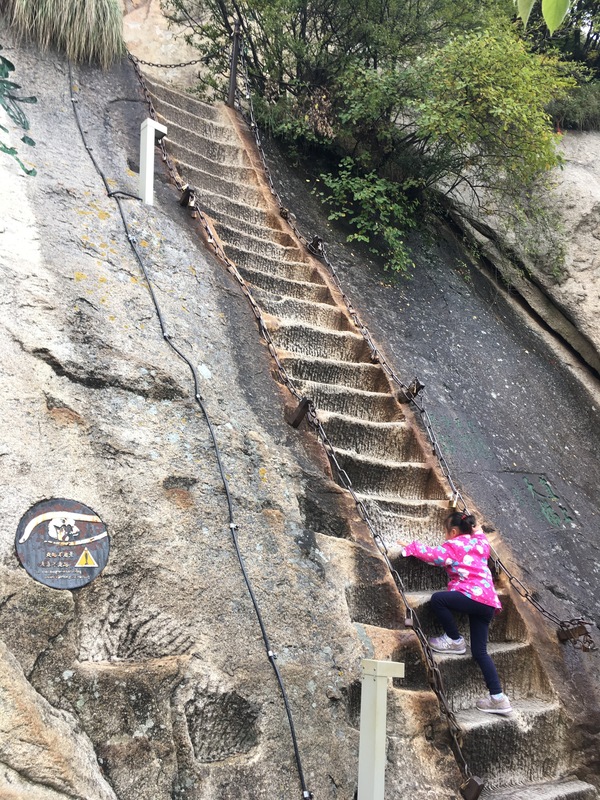 SanQing Shan (12) – Too Many Steps? We were told that there are approximately 7,000 steps if we were to do a complete loop round the SanQing Shan mountains. 7,000 steps going up and down seem to be a lot to me. I can walked for miles on trials without steps but was a bit worried about the mentioned number of steps before the trip. In the end, I don’t think there are as many as 7,000 steps. 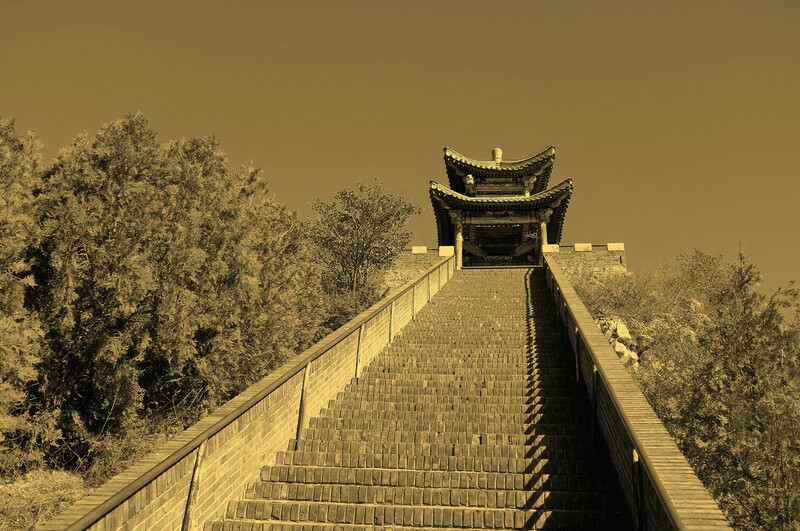 I was happy that I have climbed up long – unending – flights of steps which made me panting and walked down many steps with the assistance of a walking stick. This is the first time that I have resorted to the use of walking stick. On the right hand top part of the first photo are the seemingly endless steps ( they are not that obvious from the photo. This week’s photo challenge is Perspective. We get different perspective of the same object if it is viewed from different angles, different light condition, different background, through different framing. In photography, the same object may have different perspective if the degree of exposure, contrast, colors, zooming etc. are adjusted. 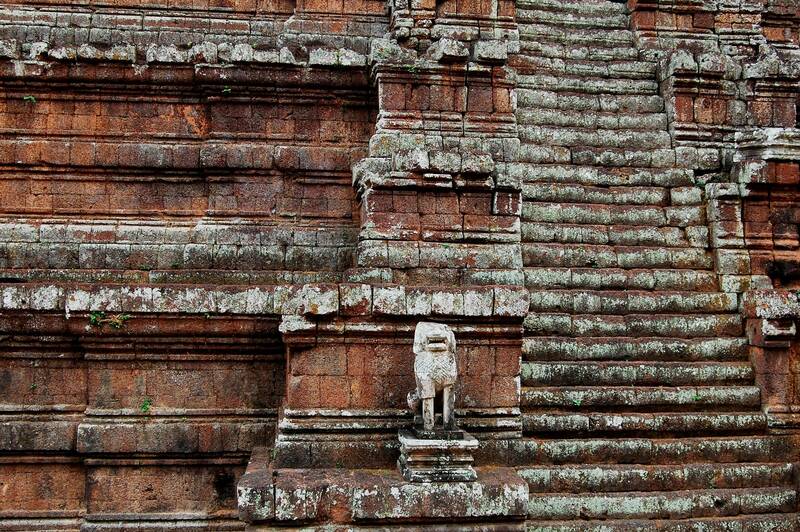 Here is an image taken in Angkor Wat, Cambodia while looking up a long flight of steep steps. 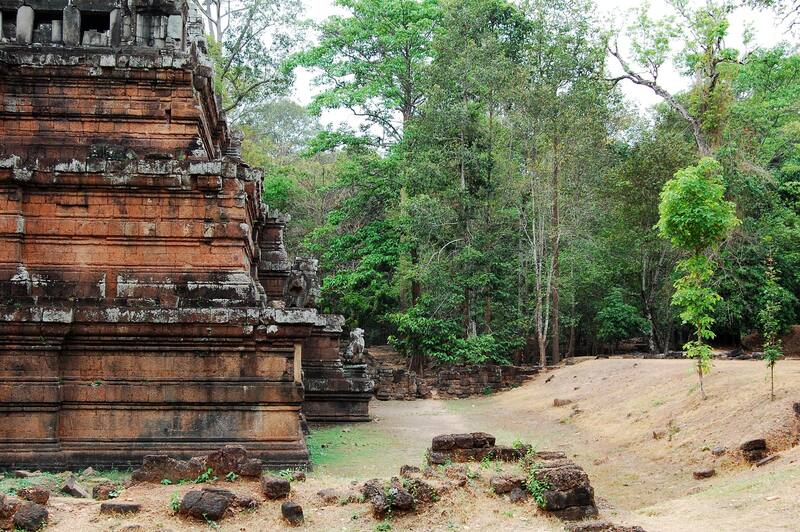 It is also a truncated view of the whole temple. From this perspective, there is no way to know how big or high is the temple, how the steps are related to the whole temple and to the surrounding. The next image shows the front view in its entirety and how the temple relates to the surrounding. However, from this perspective, we still don’t know what the side view is like, we have no idea as to the dimensions or scale of the sides of the temple. 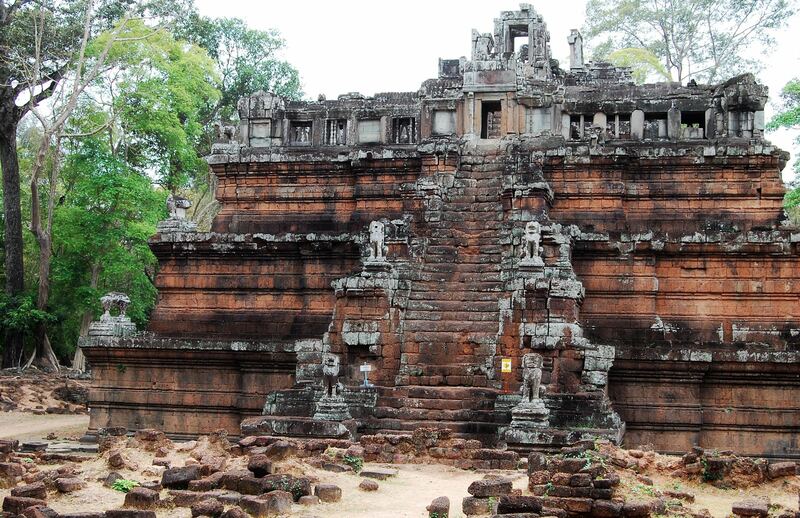 The third image was taken to show the side view, it enables the reader to have a 3D appreciation as to what the temple is like instead of just giving a partial or truncated view. However, pictures are not taken just to show what the reality is like. We need pictures to show what is interesting, to show what was on the photographer’s mind and what he wants to portray. Hope you concur with my perspective of Perspective!